eForCity offers a 25% off cell phone accessories via coupon code "08CE2013". 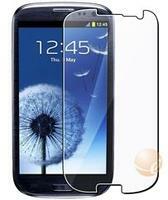 Choose from accessories for Apple, Samsung, Google, LG, Motorola, HTC, Blackberry, Palm, and more. eForCity offers free shipping on orders over $20 via coupon code "EFMEMORIAL13". eForCity offers 20% off $10 or more via coupon code "EFMOMDAY13" during Mother's Day Sale. eForCity offers 20% off accessories via coupon code "EFEASTER2013". Choose from accessories for cell phones, tablets, PCs, cameras, and more. eForCity offers 25% off Samsung-compatible accessories via coupon code 03CE2013. Shipping starts at $3.55, but orders of $15 or more qualify for free shipping via the coupon below. 25% off cell phone accessories via code "10ACE2012"
20% off audio and video accessories via code "10AAV2012"
free shipping on orders of $15 or more via coupon code "EFINDEPDAY12"
eForCity offers coupons as listed below. Shipping costs $3.55 for most orders. Deals end June 10 unless specified. Of note, only one coupon code is permitted per order. 25% off all tablet and computer accessories via code "08APC2012"
25% off cellphone accessories via code "08ACE2012"
eForCity cuts 15% off entire site via coupon code "MOMDAY2012". eForCity cuts 30% off any computer accessory purchase via coupon code "DECPC2011". Shipping starts at around $3.55.